ELEAGUE’s Boston Major is almost over with only a few teams left while the Overwatch League continues to dish out some stellar matches. In addition, LCS continues into its second week of the 2018 spring season while DreamHack plays out in Europe, a Gears of War tournament continues in Mexico, and Dota 2 crowns a winner for ESL One Genting in Malaysia. And of course there’s Evo Japan with major tournaments in a host of fighting games headlined by Street Fighter V and Tekken 7. After weeks of of matches and some suprising upsets, ELEAGUE’s Boston Major comes down to the semifinals today as FaZe Clan face Natus Vincere at 12:30PM EST. 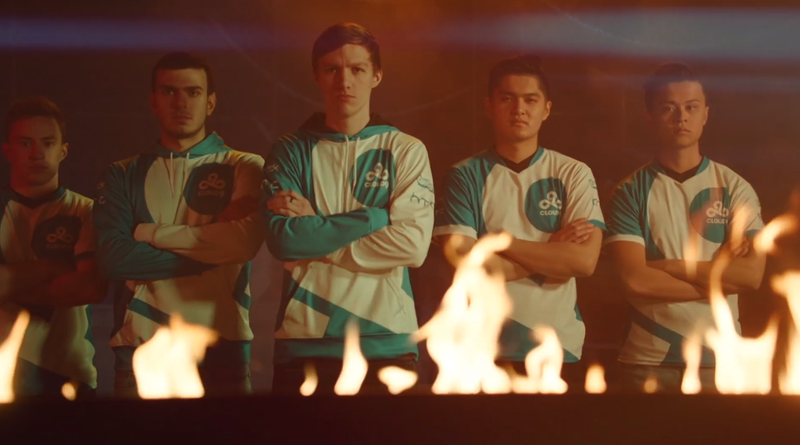 Cloud9 then faces the winner of SK Gaming vs. Fnatic, with the grand finals for the $1,000,000 event scheduled to get underway on Sunday at 2:00PM. The third-person shooter embarks on its first major tournament of 2018 with the Mexico Open. Bracket play continued today starting at 11:00AM EST, with matches continuing across both the winners and losers brackets through 11:00PM tonight. Then on Sunday, play resumes at 11:00AM with the first leg of the main stage finals set for 1:00PM. You can stream the entire $200,000 tournament in the stream below. Week 2 of the North American LCS starts today at 5:00PM EST with Clutch Gaming vs. Counter Logic and concludes at 9:00PM with Golden Guardians vs. FlyQuest. Matches resume on Sunday at the same time with Echo Fox vs. TSM while Team Liquid and Clutch Gaming wrap things up at the end of the night at 9:00PM. As per usual, OWL rounds out its week with a handful more matches today, including Dallas Fuel vs. Boston Uprising at 2:00PM EST, Los Angelse Valiant vs. Florida Mayem at 4:00PM, and Los Angeles Gladiators vs. Houston Outlaws at 6:00PM. ESL One Genting concludes this weekend as well. After stomping tough adversaries in the semifinals, both Newbee and Team Liquid meat up in the grand finals early Sunday morning for a best-of-five series starting at 2:00AM EST. Street Fighter V, Tekken 7, Smash Bros.
Evo Japan is currently going on with tournaments for lots of fighting games including Street Fighter. Semifinals completed yesterday with grand finals for Smash 4, Tekken 7, and Guilty Gear Xrd, and Street Fighter V to take place today starting at 7:00PM EST. The eWorld Cup is going on right now in Barcelona. The day’s quarterfinals action will conclude at 4:00PM EST on both Xbox One and PS4. Then on Sunday at 6:00AM matches resume with the semifinals, followed by the grand finals at 2:00PM. AFC Team Championship for Madden is today starting at 3:30PM EST, with a rebroadcast on ESPN News at 10:00PM. You can watch those games here. Blizzard’s RTS is at DreamHack Leipzig where the winner will automatically be seeded into the world championship tournament. Semifinals begin on Sunday at 6:00AM EST, with the grand finals scheduled for 8:30AM. You can watch that tournament here. Leipzig will also host Pokémon Regionals for the trading game as well as Sun and Moon. The tournament will go into the afternoon today before resuming on Sunday at 4:00AM EST. You can watch those matches here. Finally, DreamHack Leipzig will also host a Rocket League tournament with a $50,000 prize pool. Play is ongoing throughout the afternoon with matches heading into the grand finals taking place Sunday at 5:30AM EST. Matches continue today at 5:0PM EST with LFM Esports vs. Gale Force followed by HeroesHearth vs. SpaceStation. Then on Sunday at the same times its Simplcity vs. Team Twelve and Team Freedom vs. Tempo Storm.